The dining room at Arbourside Court is spacious, with a beautiful fireplace and white linen table service – it’s a place to enjoy an elegant dining experience. 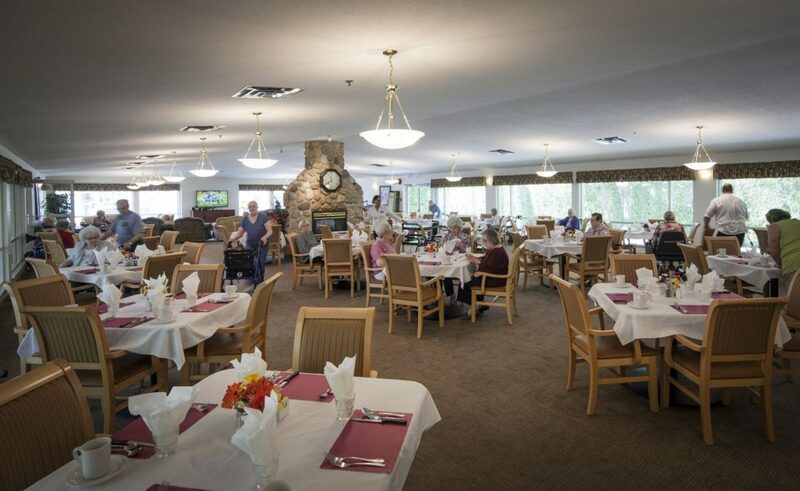 Our seniors enjoy an extensive continental breakfast, as well as home made meals for lunch and dinner each day. Meals are created by our Red Seal Chef and served by our wonderful, friendly staff. Breakfast includes a choice of 4 cereals, oatmeal, toast and condiments, tea, coffee, juice and milk, as well as the special of the day. The menu rotates every six weeks with two alternatives for lunch and dinner.